It can be useful to offer your users a newsletter subscription service. 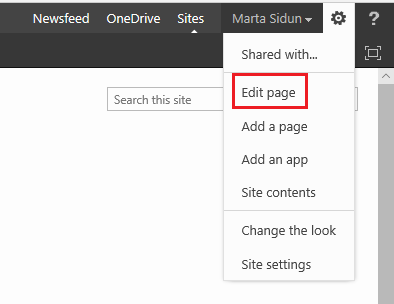 With JungleMail, you can do this in SharePoint by creating a dedicated page for subscription management. In this tutorial, you will learn how to do this. External site collection - the site collection where EnovaPoint JungleMail Publishing Web Parts is activated. This site collection is used for tracking and subscription features only. Note: JungleMail Subscription Web Part and JungleMail Tracker Web Part has to be placed in separate pages. 2. Enter the name and click Create. 1. Insert JungleMail Subscription Web Part to the newly created page. You will find this web part in the EnovaPoint Web Parts folder. 2. Choose the JungleMail Core location (i.e., location where JungleMail is operating and where its system lists are stored). 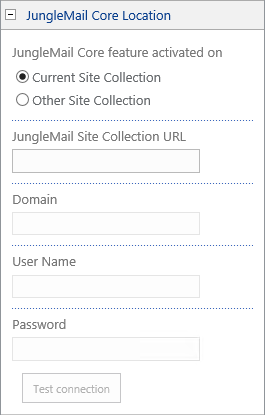 Choose Current Site Collection to use the JungleMail Subscription Web Part on the site collection which is used for sending emails. JungleMail Core feature and settings should be enabled for the web part to work correctly. Note: if you choose Current Site Collection, JungleMail will automatically add the page URL to the site collection settings. 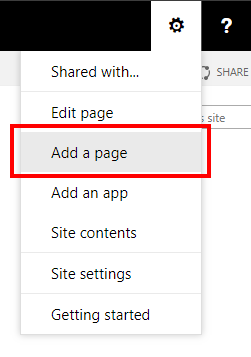 Choose Other Site Collection (recommended when dealing with external recipients or mobile devices) if you want to offer subscription modification services on a remote and publicly available SharePoint site collection with anonymous access. If you choose this option, you will have to specify the main site collection URL under which the JungleMail Core is activated. You should then provide user credentials to access this site collection. 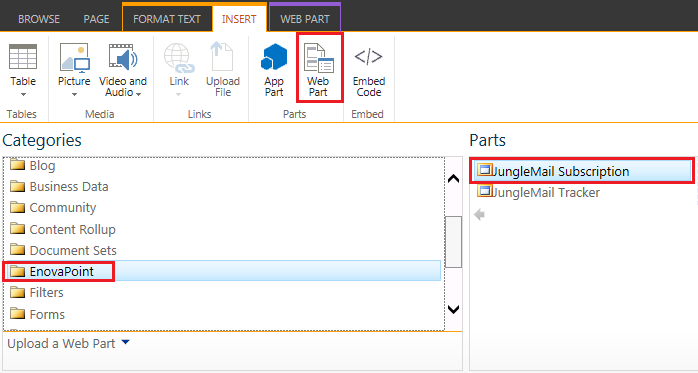 We recommend creating a separate user account with very limited permissions to access JungleMail Service of the main SharePoint Environment where JungleMail Core is activated. Do not activate JungleMail Core feature on an external environment with anonymous access. 1. In the main site collection, go to Settings > Site settings. 2. Under Site Collection Administration, click EnovaPoint JungleMail Settings. 3. Under JungleMail Subscription Page URL, enter the URL (external address) of the subscription management page that you previously created. This URL will be placed in the email body when sending group emails. 4. 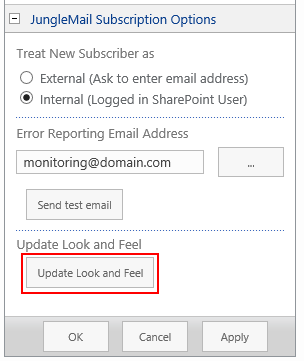 At the bottom of the page, check the Enable subscribe, unsubscribe and subscription management functionality. 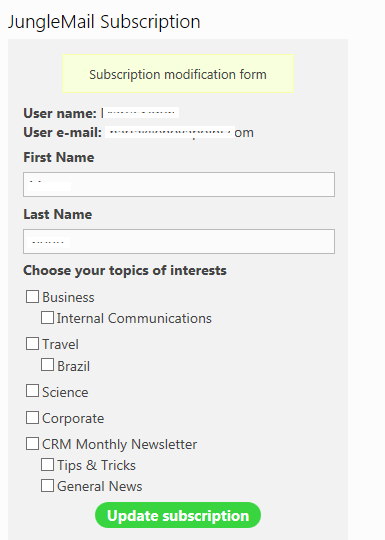 Enable subscription on topics of interest, too. 1. In the main site collection's root site, navigate to the JungleMail Topics SharePoint list. 2. Use Add new item to add new topics. 3. To group topics, use the Parent Topic column. For ordering, use the Position column with order numbering. 4. 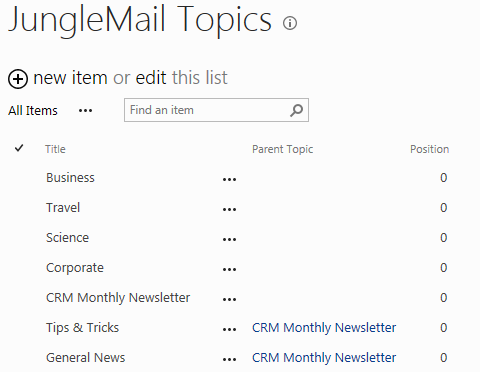 You can now open your subscription management page and all of the topics should be available in the JungleMail Subscription Web Part. If the topics are not visible, you might need to refresh the web part appearance. See step 5. 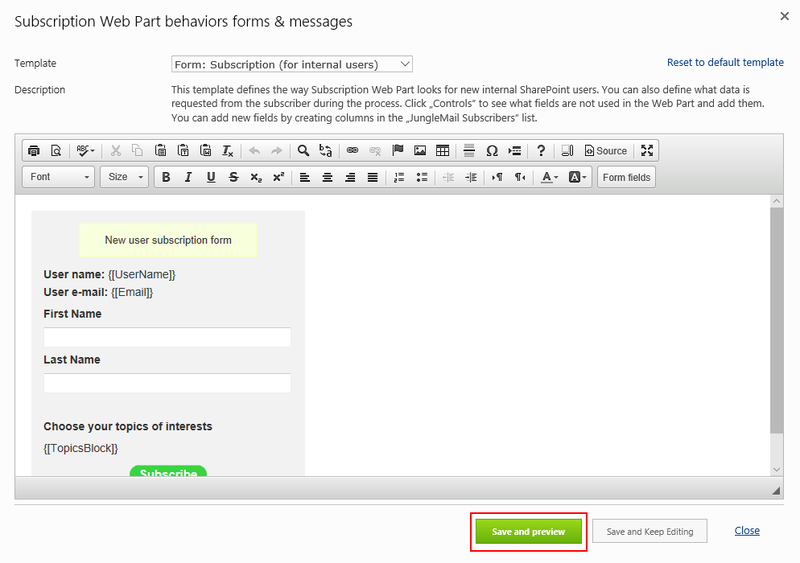 The appearance of JungleMail Subscription Web Part can be modified. 1. In the main site collection, go to Site settings. 3. Under Look and Feel, click Customize Subscription Web Part behaviors templates. 4. Customize the web part and click Save and preview. 5. Go to the page where the web part is located and click Edit page. 6. Click Edit Web Part. 7. Click Update Look and Feel to apply the changes immediately. By default, JungleMail updates web part appearance automatically every 12 hours.